Thanksgiving is celebrated in the US on the __________(1) Thursday in __________(2). For many Americans it is the most important holiday apart from __________(3). Schools, offices and most businesses close for Thanksgiving, and many people make the whole __________(4) a vacation. Thanksgiving is associated with the time when Europeans first came to __________(5) America. In 1620 the ship the __________(6) arrived , bringing about 150 people who today are usually called __________(7). They arrived at the beginning of a very hard __________(8) and could not find enough to eat , so many of them __________(9). But in the following ___________(10) Native Americans showed them what foods were safe to eat, so that they could save food for the next winter. They held a big __________(11) to thank God and the Native Americans for the fact that they had survived. Today people celebrate Thanksgiving to remember these early days. 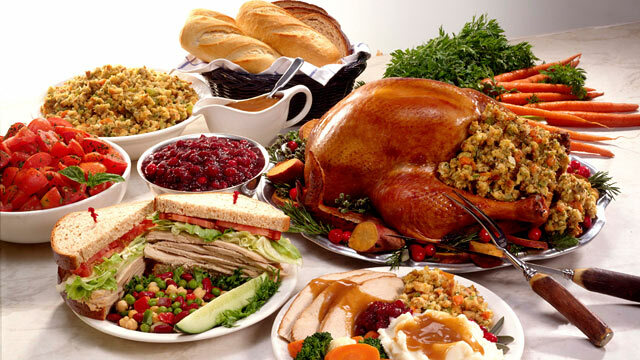 The most important part of the celebration is a traditional __________(12) with foods that come from North America. The meal includes __________(13), sweet potatoes (also called yams) and cranberries, which are made into a kind of __________(14) or jelly. 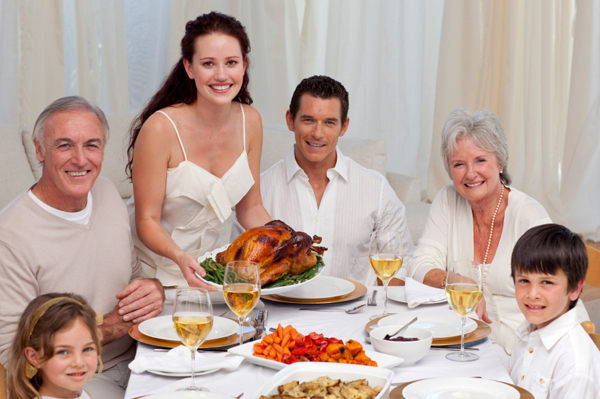 The turkey is filled with __________(15) or dressing, and many families have their own special __________(16). Dessert is pumpkin made into a __________(17). On Thanksgiving there are special television programmes and sports events. In New York there is the MACY'S THANKSGIVING PARADE, when a long line of people wearing fancy __________(18) march through the streets with large baloons in the shape of imaginary characters. Thanksgiving is considered the __________(19) of the Christmas period, and the next day many people go out to shop for Christmas __________(20).